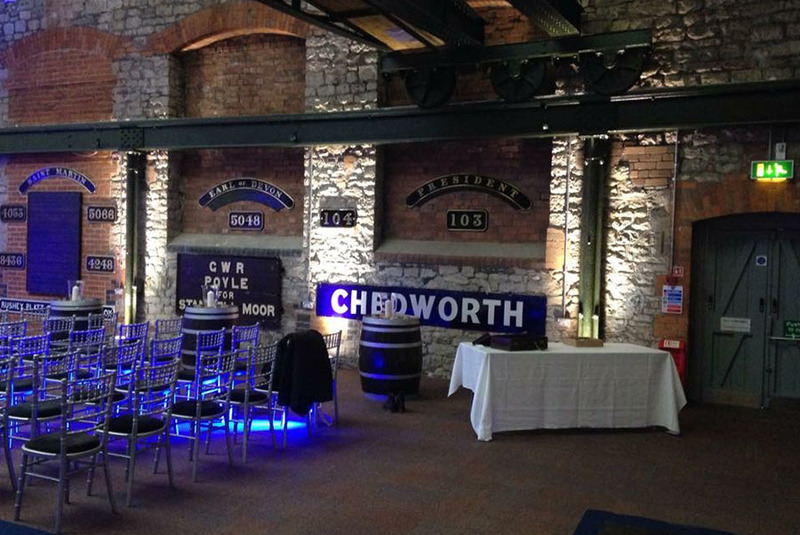 Venue Lighting is fast becoming a popular solution for anyone organising an event and looking to add ‘The Wow Factor’. 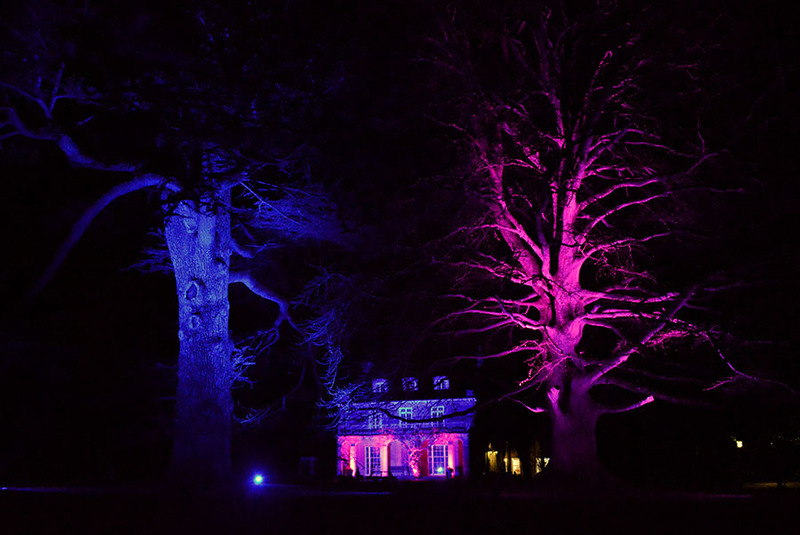 All of our lighting is intelligent so we have complete control over how it works, using LED’s we are able to select from an almost endless selection of colours to suit you and your venue. 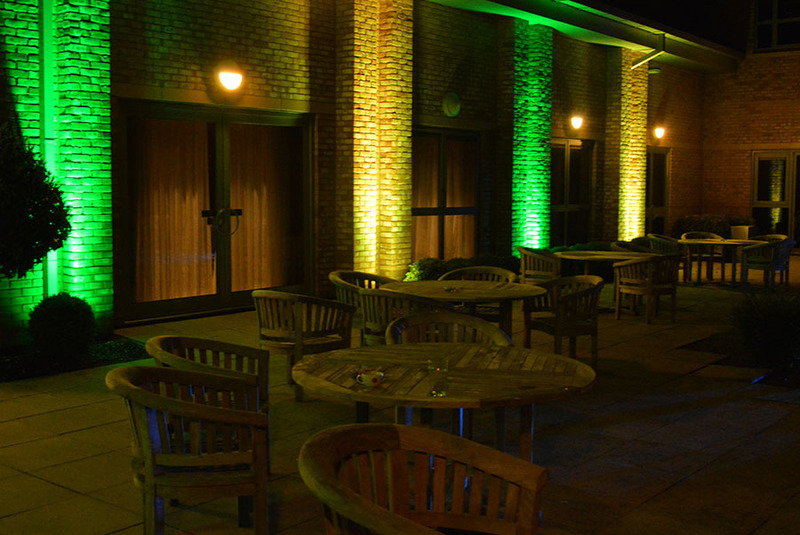 Our External Lighting is designed to excite your guests when they arrive for your evening reception. 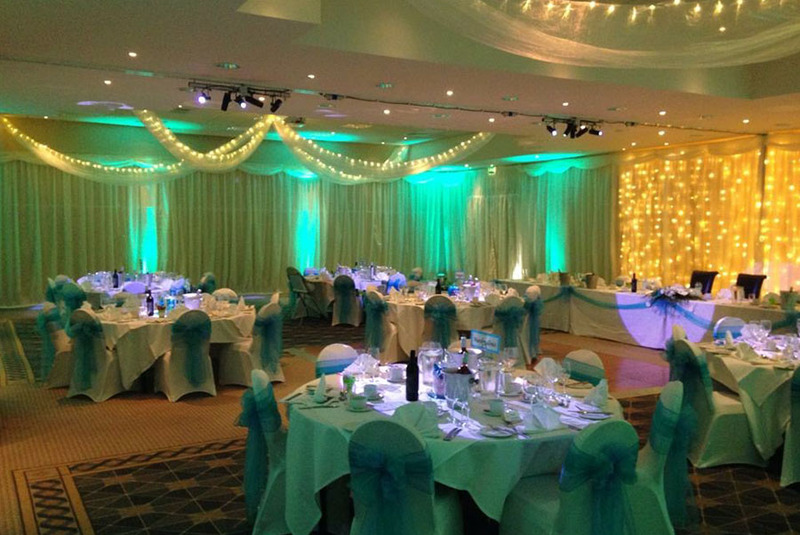 We will work with you and the venue to design our lighting to your exact requirements using colours selected by you. 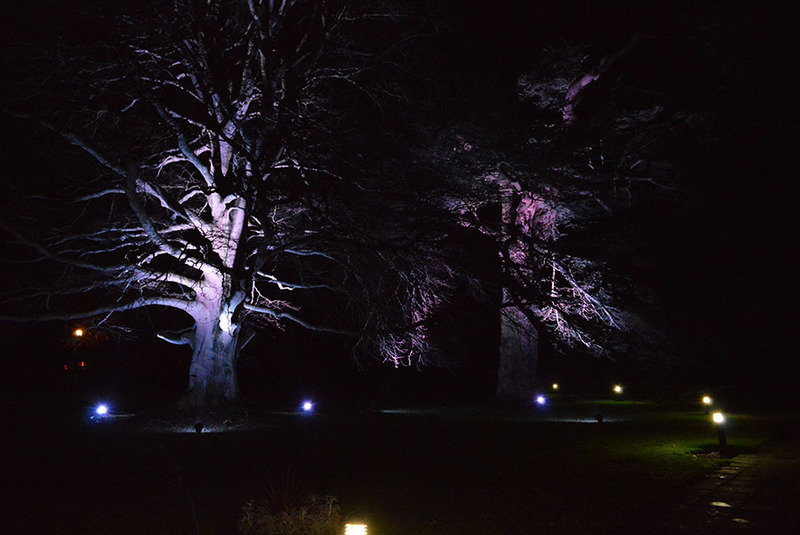 We can also use this lighting to make use of outside space, giving you complete use of the venue throughout the evening, don’t forget you can chose the colours. With the lighting we use we are able to layer colours onto a building. We cover the building with one colour and then layer other colours on focal points or ornate architectural features, this really does stand out a looks great. This is very simple but effective, each lamp is set to a single colour – this will then remain the same colour for the duration. You can choose to have all one colour or multiple colours in different areas. 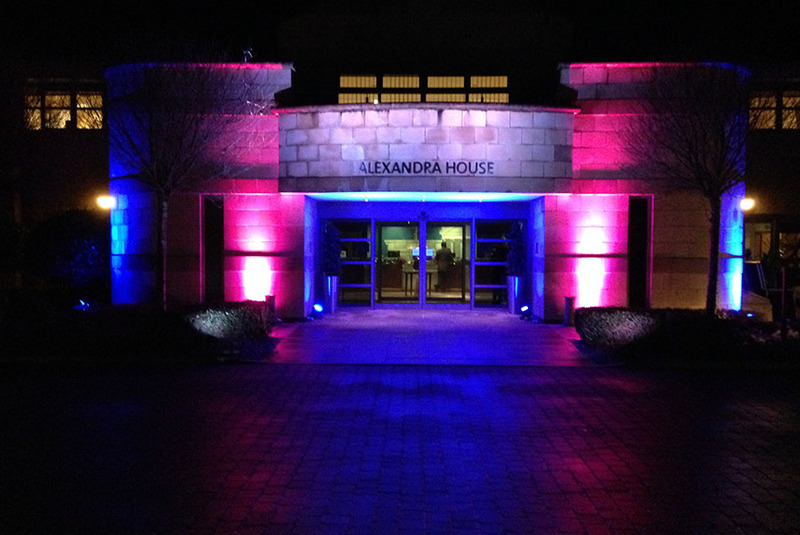 This can make the outside of your venue look seriously exciting, the lights can be set to run through a series of colours by fading or stepping (flashing). 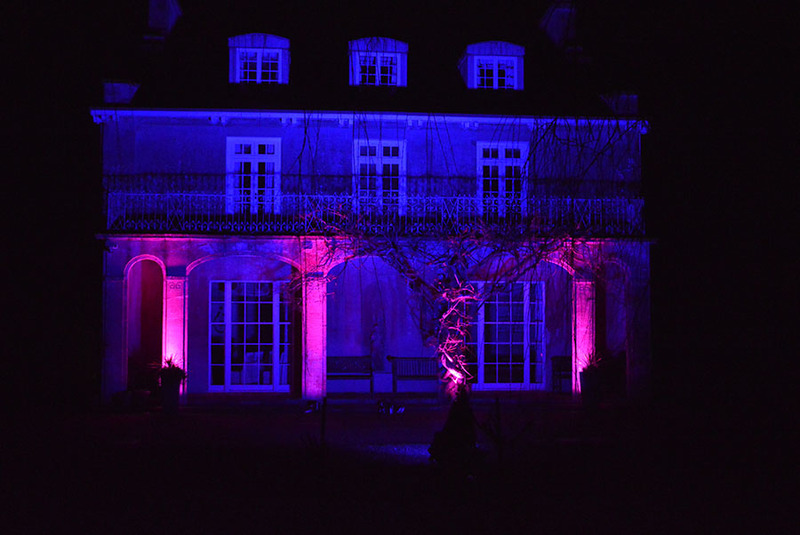 Changing the colour of your room, transforming the atmosphere and creating ‘The Wow Factor’ for your event can all be achieved with our Intelligent Up-lighting. As it is ‘Intelligent Lighting’ we have complete control over how it works, using the high power LED’s we are able to select from an almost endless selection of colours to suit you and your venue. This can make your room look awesome; the lights can be set to change colour to the sound of your music or simply run through a series of colours by fading or stepping (flashing).